Greenhouse gas (GHG) emissions are the leading contributor to the rapid rise of global temperatures and resulting climate change. Scientific consensus calls for a rapid de-carbonization of global economic systems in order to limit this temperature rise to safe and manageable levels (2oC above preindustrial levels). 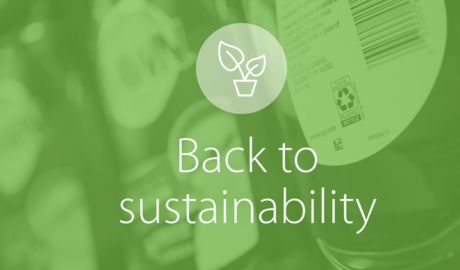 At Walmart, we are working hard to be a part of the solution and to reduce emissions in our operations while supporting reductions in emissions across our supply chain. We recognize that achieving this goal will require the collective effort of our suppliers, customers, associates and other stakeholders. The burning of fossil fuels—mainly coal, petroleum and natural gas—accounts for the majority of the world’s energy use and ranks as the primary source of carbon dioxide emitted into the atmosphere. Renewable energy sources, such as hydropower, wind, solar, geothermal and biomass, offer cleaner, more sustainable alternatives, but often at higher prices and with varying availability. 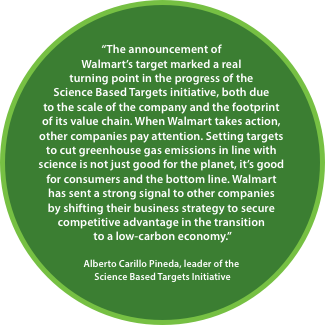 Fossil fuel–based energy continues to be a significant driver of GHG emissions in Walmart’s operations. We are committed to changing this by meeting our needs with 100 percent renewable energy. In meeting this aspiration, we aim to power 50 percent of our operations with renewable energy by 2025—both through onsite installations and through purchases from external providers. To date, we have found the Power Purchase Agreement (PPA) to be a highly effective model for Walmart to leverage our scale and buying power to accelerate renewables. Under these arrangements, Walmart agrees to buy renewable power from an energy provider over a period of time. Under PPAs, the energy provider also owns, installs and operates the renewable energy systems. At the end of FY2017, we had more than 480 onsite and offsite projects in operation or under development in seven countries and 16 U.S. states, supplying over 2.3 million kWh of renewable energy to our facilities. Together with renewable electricity from the grid, an estimated 26 percent of our electricity needs globally are supplied by renewable sources. 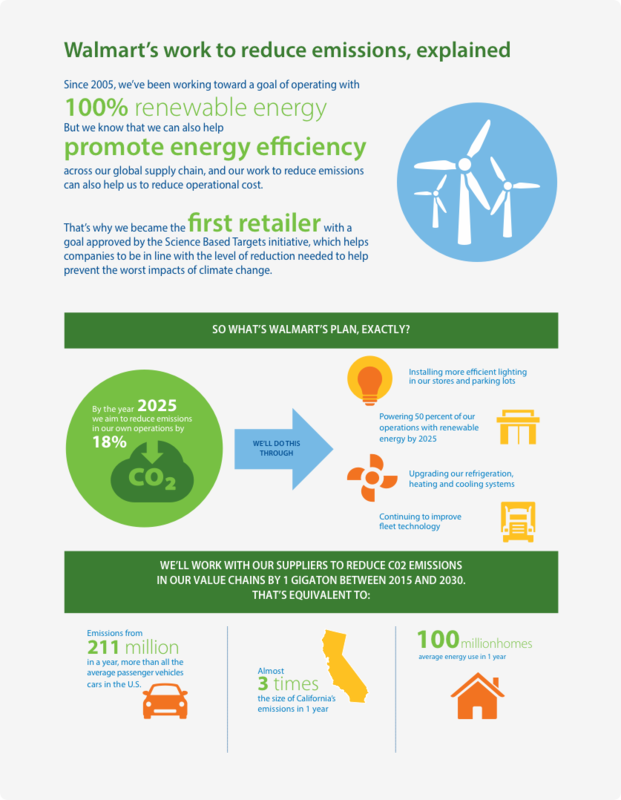 That makes Walmart a leader in renewable energy. According to the U.S. E.P.A. Green Power Partnership and the Solar Energy Industries Association (SEIA), as of 2016, we rank ninth among U.S.-based companies for total procured renewables, first for onsite solar capacity in three of the past four years, and first for the number of sites with solar PV systems. During FY2017, we made progress in our own onsite installations of solar and advanced energy technologies. We also increased our procurement of offsite renewable energy and collaborated with other companies to advocate for more widely available, more affordable renewable energy. 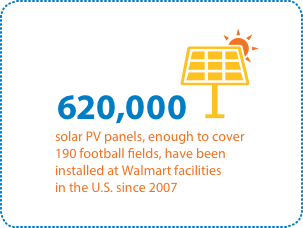 Solar in the U.S.: By the end of FY2017 Walmart had 364 onsite solar installations throughout the U.S., significant progress toward our commitment of having at least 480 by 2020. 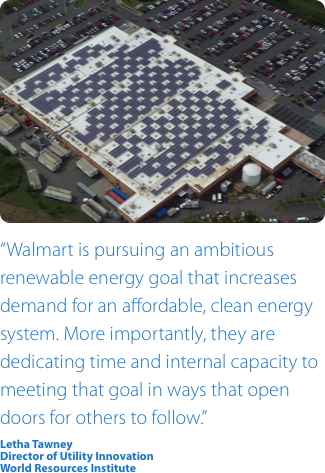 Walmart has been recognized by the U.S. EPA for being a leader in onsite renewable energy and has held the top spot on the Solar Energy Industry Association’s list of companies for installed solar capacity for three out of the past four years. Solar in India: Walmart India made a major push in FY2017 to expand its use of rooftop solar power to 90 percent of our buildings. We commissioned photovoltaic (PV) solar rooftops for 15 Best Price stores through a power-purchase agreement with a leading renewable energy supplier. Once online, the new installations are expected to provide nearly half of Walmart India’s electricity needs. A cloud-based software solution will make it possible to monitor the solar power generation in real time. Solar in South Africa: Our South African business, Massmart, has been piloting commercially viable renewable energy projects at select standalone stores. Energy storage: To complement our solar installations, we are also ramping up our investments in energy storage. In partnership with Tesla, a pioneer of advanced battery technologies, we have completed major energy storage projects in 18 of our stores in California. These include the installation of mega-batteries linked to our onsite solar installations. Six of these energy storage systems are also designed to provide backup power in the event of a utility grid power outage. Electric vehicle charging stations: At the end of FY2017, we had added electric vehicle charging stations to more than 90 sites across the U.S., bringing our total to over 300 stations. Nearly 20 percent of these charging stations are 50kW (480 V) DC Fast Charging Stations—the fastest type of public charging currently available—which will charge a typical electric vehicle to roughly 80 percent of its battery capacity in 30 minutes. This infrastructure enables Walmart to provide a valuable service to its customers. Our partner, EVgo, is recording positive feedback from our customers via independent mobile apps for electric vehicle drivers. Our renewable energy aspiration cannot be achieved with onsite generation alone. This is why Walmart’s renewable energy strategy includes procuring power from energy providers whose operations, typically utility-scale wind and solar farms, sit far from the facilities that they supply. As of FY2017, we had nine large agreements supplying our operations in Mexico, the U.S. and the U.K., comprising 75 percent of our renewable portfolio. In the U.S., for example, Walmart signed a long-term agreement with Alabama Powerin FY2017 to purchase power from a new 72MW solar facility to be built in Chambers County. This will help supply a portion of the power needs of Walmart’s retail units and distribution centers in Alabama. We hope such deals will encourage other utilities to play a key role in helping meet the demand for renewable energy across the country. 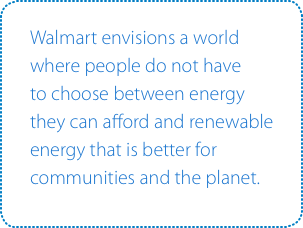 Walmart envisions a world where people do not have to choose between energy they can afford and renewable energy that is better for communities and the planet. That’s why we’re working together with other major companies to boost global demand for renewable energy, accelerate innovation and make renewable energy technologies more affordable. 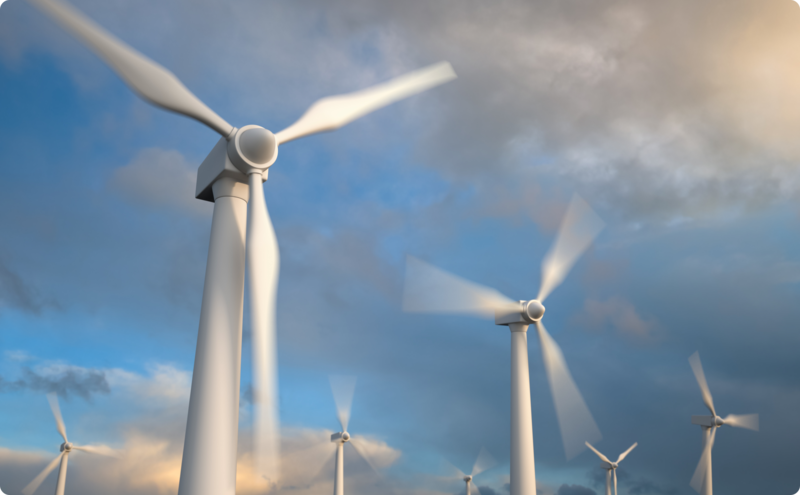 We are a founding signatory to the Renewable Energy Buyers Principles, developed to identify needs and develop cost-effective solutions for large renewable-energy customers. As of January 2017, 65 companies had signed on, representing over 48 million MWh of annual demand by 2020. 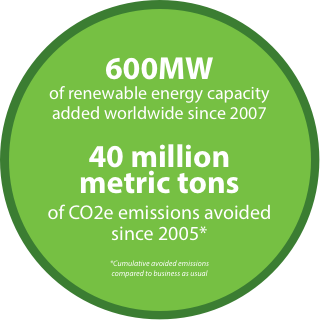 Walmart is also a member of the global RE100, an organization representing companies with a stated goal of being 100 percent powered by renewable electricity. As we began working toward our 100 percent renewable energy goal, we quickly realized that to be successful we needed to reduce our energy demand—the denominator in the percent renewable equation—by achieving greater energy efficiency. 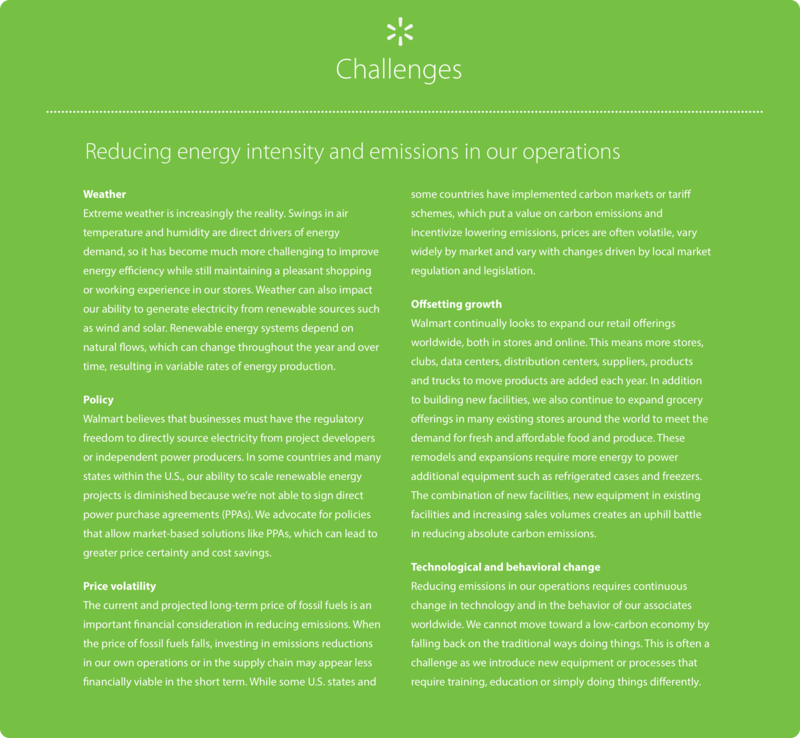 Energy use, especially electricity, is the biggest contributor to our operational emissions. And energy costs are typically the second- or third-largest operating expense for our business. Reducing the energy intensity of our operations is not only a cost-effective way to contribute to our renewable energy goal and reduce emissions, but it also improves our bottom line by reducing our annual operating expenses and limiting our exposure to future increases in energy prices. The majority of our global electricity use comes from our buildings around the world—11,600 in total—including our stores, clubs, distribution centers and, increasingly, our data centers. In buildings, our energy use can be broken into four main areas: lighting; heating, ventilation and air conditioning (HVAC); refrigeration; and other categories such as plug loads. In each of these areas we are focusing on energy efficiency in the way we design, procure, operate, monitor and maintain our systems. Our investment in energy efficiency has reduced our energy use per square foot by 12 percent since 2010, as of Q3 FY2017. Walmart engineers look for ways to incorporate efficiency into new store designs. Just as important, as our existing buildings age, we aim to replace or upgrade older equipment with the latest in high-efficiency technology. Thousands of these incremental improvements are made each year, gradually improving energy efficiency across our entire building portfolio. Taking energy efficiency through the roof. In the U.S., Walmart continues its drive to install high-efficiency rooftop heating and cooling units (RTUs). By the end of 2015 we had upgraded 5,919 RTUs—the highest number of high-efficiency RTU installations in the U.S.—resulting in an estimated savings of 50 million kWh and 35 million pounds of CO2e, worth as much as $5 million annually according to the U.S. Department of Energy. In recognition of these efforts, Walmart was named a 2016 Campaign Award Winner by the Advanced RTU Campaign, a business/government collaboration. Installing energy-efficient lighting in our parking lots. 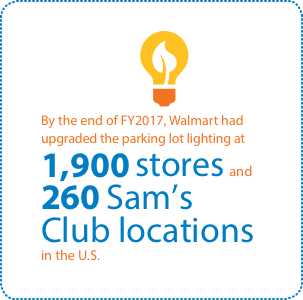 By the end of FY2017, Walmart had upgraded the parking lot lighting at 1,900 stores and 260 Sam’s Club locations in the U.S. from high-intensity discharge (HID) technology to more energy-efficient light-emitting diode (LED) lighting technology. 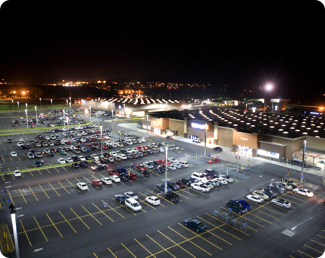 The new LED parking lot lighting will save electricity and reduce maintenance costs, thereby supporting Walmart’s commitment to Every Day Low Cost as well as energy efficiency. As the saying goes, you tend to manage what you measure. At Walmart we use technology to carefully monitor and optimize energy use in our buildings. Deploying energy management systems. In our operations in China and other markets, we have installed systems that allow operators to monitor and manage energy consumption in real time at Walmart stores. Engaging associates to help save money. Our stores in Argentina cut energy consumption by an average of 5 percent from March to December 2016. One way that they achieved this was by launching an energy efficiency competition for associates, sponsored by the Sustainable League, that incentivized them to reduce energy by changing to more responsible behavior towards energy use. Reduction. We reduce energy use and improve performance in our existing systems by using common best-practices for maintenance and monitoring. Prevention. We prevent energy waste and improve performance in new systems by using common specifications for high-efficiency systems with a lower total cost of ownership. Transition. 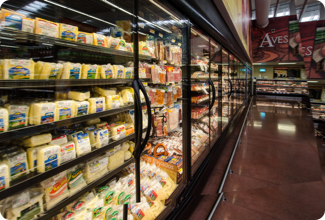 We are moving to lower-impact gases and refrigeration techniques. Since 2011, Walmart has been testing and evaluating options to facilitate the transition to less HFC-reliant systems. 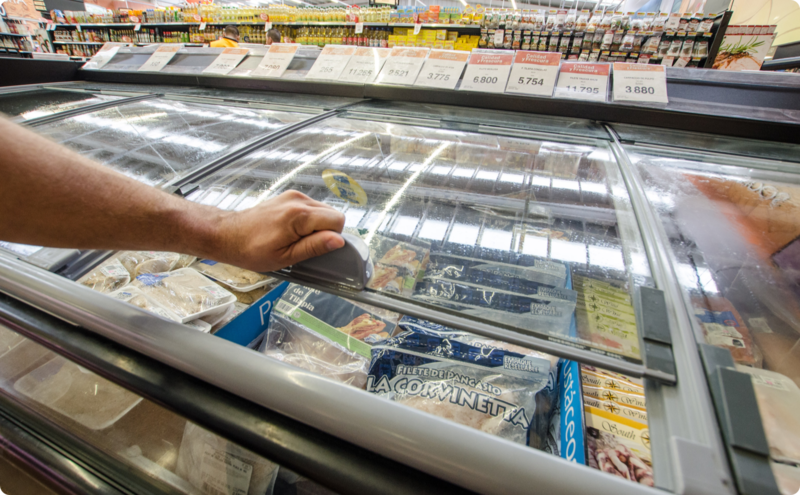 In FY2017 Walmart worked with other members of the Consumer Goods Forum (CGF) to put forward an ambitious resolution on refrigeration and to support the inclusion of HFCs in the Montreal Protocol, an international treaty designed to protect the ozone layer. The CGF resolution calls for all consumer goods companies to work to rapidly phase down HFCs. Walmart International won several awards at the Refrigeration and Air Conditioning (RAC) Cooling Industry Awards in London in FY2017, including first place in the International Achievement of the Year category. 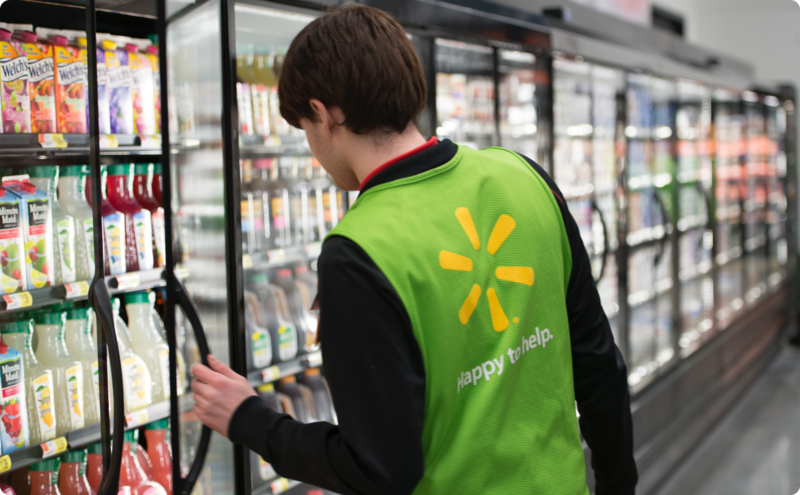 This award recognizes Walmart’s efforts to accelerate the development of low-impact refrigeration technologies, scale their implementation and apply best practices across markets. 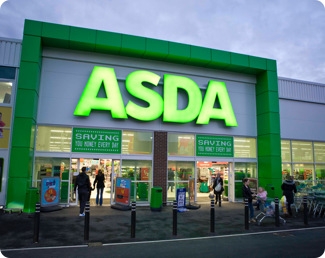 Our U.K. business, Asda, won Low-Carbon Achievement for its decade of carbon reductions. 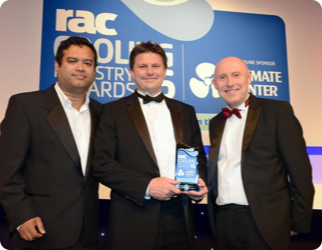 Brian Churchyard, Asda’s senior manager of construction design standards, was awarded the RAC Gold Award for his work in advancing improved refrigeration techniques. 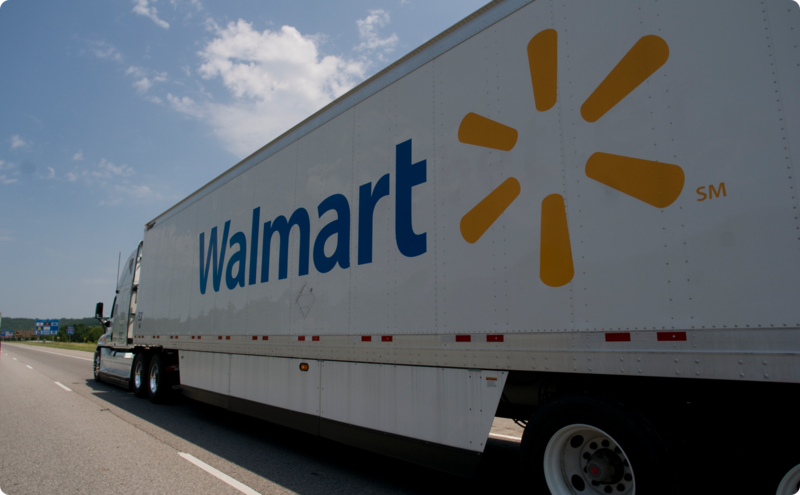 Last year, Walmart announced that we had exceeded our goal of doubling the efficiency of our trucking fleet by 2015. This achievement was made possible by our associates’ efforts to improve techniques for loading, routing and driving, as well as through collaboration with equipment and system manufacturers on new technologies. 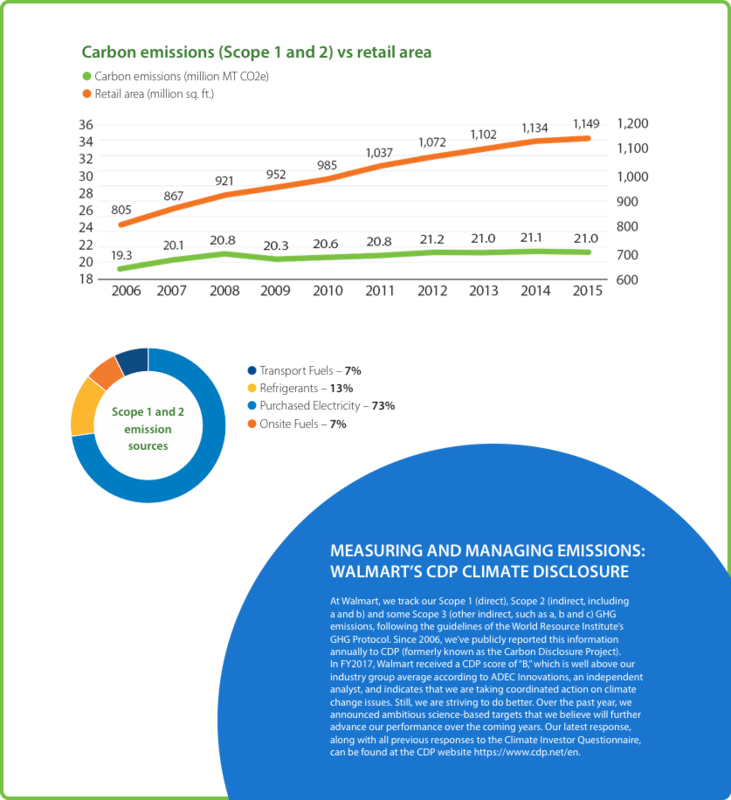 With these new efficiencies, we achieved savings of nearly $1 billion and avoided emissions of almost 650,000 metric tons of CO2 in 2015 as compared to the 2005 baseline. Moving ahead, we will continue to look for innovative ways to improve our fleet efficiency as we fold our fleet goals into our broader goal of using 100 percent renewable energy. 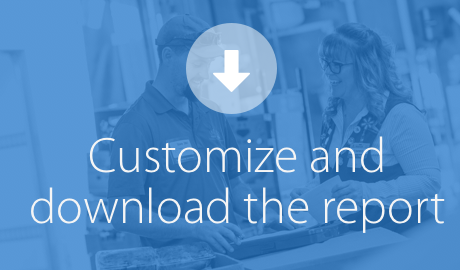 One of the challenges we face in further improving fleet efficiency is the rapid evolution—and increasing complexity—of our supply chain. The growth of e-commerce, for example, is changing the demands on our logistics network and is evolving our approach to distribution, warehouse and delivery technologies, vendor relationships, and packaging. We believe that part of the solution will lie in new technologies, and we are investigating innovations in automation, advanced aerodynamics, short range communications, safety technologies such as sensors and detection equipment, electrification and alternative fuel. Freight transportation is an interconnected ecosystem. To achieve improvements on a large scale, we are collaborating within the industry and with suppliers and regulators to build next-generation transport networks that are safe, environmentally friendly, efficient, responsive, reliable, flexible and cost-effective. Efficiency is important, but when it comes to successful fleet operations nothing is more important than safety. Our drivers meet rigorous standards and take part in ongoing training. No one personifies that standard 0f excellence better than Robert Kelly, of our Searcy, Arkansas, office. He’s driven over 4 million miles without an accident in his 32 years as a professional driver, including 2.1 million in the last 17 years driving for Walmart. Robert is passionate about safety, customer service and excellence on the job. He shares that passion by working as a trainer in Searcy. He’s also the Arkansas Trucking Association Road Team Captain and a participant in numerous other Walmart programs, including Trucker Buddy, Store Ambassador, Walmart Heart, Wreaths Across America, Children’s Miracle Network and Special Olympics. Robert also played a leading role in the 2014 and 2015 Fuel Economy Training Initiative in which he shared best practices and results, demonstrating the value of adapting to ever-changing equipment technology. Each year we move millions of products from manufacturers to Walmart distribution centers and from distribution centers to our store loading docks. Our logistics network operates one of the largest and safest private fleets in the U.S. From February 2016 through January 2017, our fleet drove approximately 735 million miles. 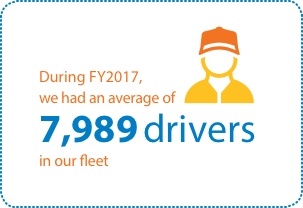 During FY2017, we had an average of 7,989 drivers in our fleet. Of our current drivers, 3,070 have a streak of at least a million accident-free miles during their Walmart careers. 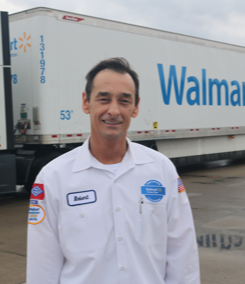 Last year, Warren Crane of Laurens, South Carolina, became ourfourth driver to drive 4 million miles accident free for Walmart. Walmart Transportation was recognized at the 2016 American Trucking Association’s Safety and HR National Conference as the industry’s safest fleet in its class for 2015. This is the third consecutive year that Walmart has won this award. In addition, six Walmart drivers won awards in their divisions at the 2016 ATA National Truck Driving Championships, a safety competition in Indianapolis. For the second year in a row, the Grand Champion of this event was a Walmart Driver.